The Newest Rant: How is the Same Writer Behind Two Comic Books of Such Vastly Different Quality? AKA Nick Spencer, What's Up? How is the Same Writer Behind Two Comic Books of Such Vastly Different Quality? AKA Nick Spencer, What's Up? How Can one Man Vary So Much? Nick Spencer has written some comics I've adored and others that have left me slightly cold or outright disgusted (in terms of quality, not the content). The same man behind the much-popular "Morning Glories" and superb recent DC-run of "T.H.U.N.D.E.R. Agents" somehow also did the at-first-promising but then horrendous "Iron Man 2.0," and an extremely underwhelming start to the re-boot of "Ultimate X-Men," before Brian Wood came in and righted that near-sinking ship. So really, Nick Spencer, what's up? I don't get it, Nick--if I can call you that--you put out some amazing DC stuff like your Jimmy Olsen story, and your creator-owned work such as Infinite Vacation earned rave reviews. Yet, you signed that exclusivity contract with Marvel (that thank-the-Lord let you finish your work on "T.H.U.N.D.E.R. Agents) and everything you've put out with them has failed to make me the slightest bit excited. Belam #6 in what is apparently a variant cover, but it costs the same as the regular so I'm happy. Now there are two newer comics that you have been making and just as has happened in the past, they couldn't be any more different in quality and my enjoyment of them. I've just finished reading the sixth issue of "Bedlam" your creator-owned comic from Image, and I have read the third issue of the Marvel NOW re-launch of "Secret Avengers". From what I've said I am pretty sure that you, the imaginary Nick Spencer I am talking to along with my readers, know which comic has me as a big fan and which one I won't be getting the next issue of. "Bedlam" is about a man who was one of the worst super-villains imaginable. Known as, "Madder Red," he was basically the Joker cranked up to 11 in homicidal tendencies. 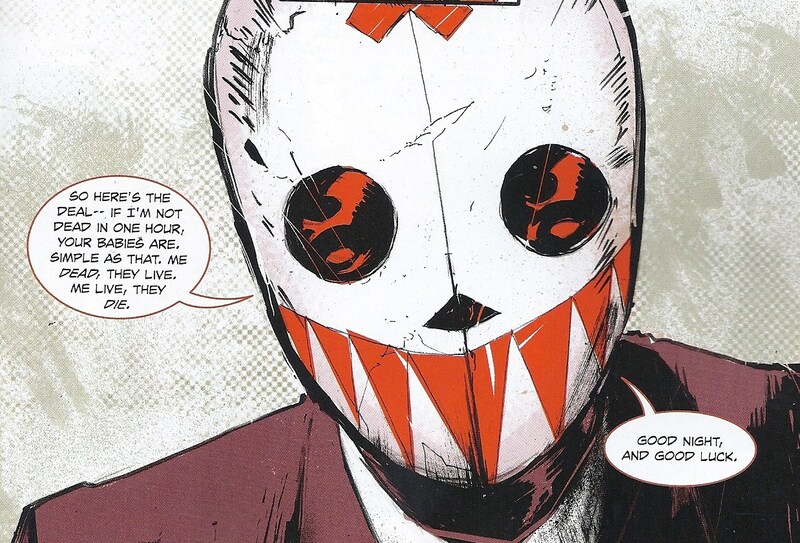 From the first issue his masked visage inspired a bit of terror in the reader. The hook however, the thing that keeps someone reading besides, "Oh, it's basically a comic from the Joker's point of view," is that Madder Red is actually cured. Yes, through tons of surgery and conditioning by a mysterious doctor we still don't yet known the true intentions of, Madder Red is in fact now sane. He's been released into the real world with a new fake name and everything. He can't help but be drawn to crime and starts helping the police with his amazing intellect and profiling skills that he no doubt gained from his time as a murderous villain. The art by Riley Rossmo is awesome and Frazier Irving keeps providing delightfully twisted covers. It's a gas to both read and observe the art of, and a book I wholeheartedly recommend to anyone looking for a creepy take on heroes, villains, and the books perennial question of, "Is evil just something you are or something you do?" Then in the later issues Spencer kind of takes advantage of the fact our heroes are having their memories altered with a little twist at the end of issue #2, but I still don't quite understand why it happened as it did. Now in issue #3 we've got more attempted-intrigue in the form of the organization A.I.M. taking advantage of having their own legally-recognized island by building up some kind of arsenal, but I honestly still have no idea what in the dickens is supposed to be going on in this comic and we are 3 issues in. I wouldn't mind as much if the characters were written well, but Nick Fury Jr. comes off as a jerk, Hawkeye lacks all the charm of his solo book and instead seems like a major tool, and the female characters come off as either snarky or little more than just being another character the artist had to draw standing around doing nothing. Speaking of the drawing, the art is fine. Yeah, not everything about the book is bad, Luke Ross does a good job with what he's given, even if it is very little. The story however feels bloated, confused, and otherwise is just unpleasant to read. The cover to the third issue, also known as the last issue I'm buying. Bedlam is complex but clear in its motivations. 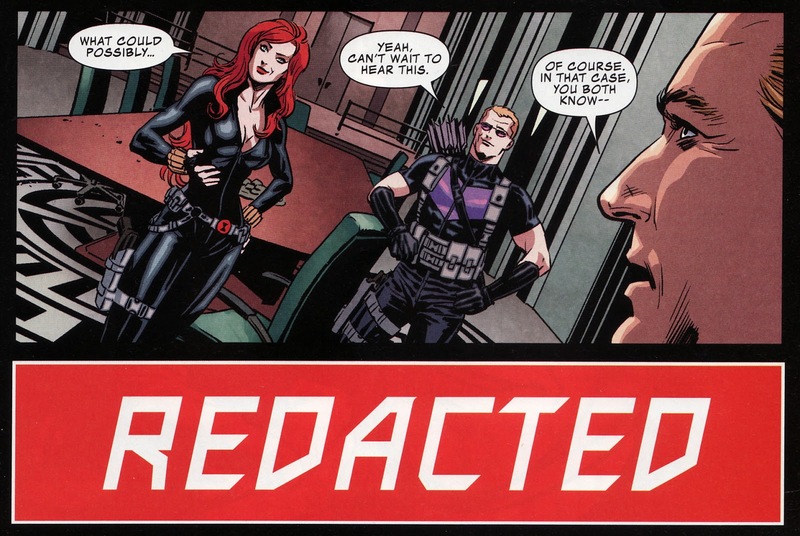 Secret Avengers is just confusing. Bedlam has fascinating characters with them feeling important no matter how big or small their role. 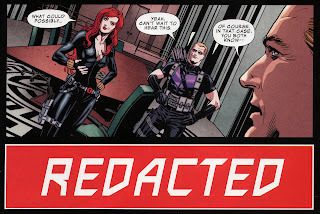 Secret Avengers has characters with all the personality of a cardboard cut-out. 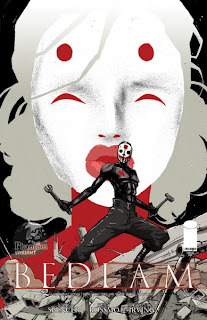 Bedlam has great art, Secret Avengers has fine art (I guess not everything is a polar opposite). One comic is unquestionably much better than the other, which makes it all the more baffling how one person can be the writer for both books. 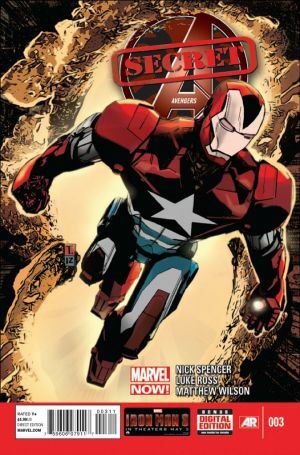 It is as if Spencer forgets everything he knows about plot development and characterization when it comes to his Marvel titles, but suddenly gains skill as soon as the book is DC-related or creator-owned (with the exception of "Thief Of Thieves" which Spencer co-wrote some issues of with Robert Kirkman owning the rights, and which is basically a boring-as-Hell book,). Spencer writes some awesome and some bad comics, it is just odd how basically all the lesser ones seem to be Marvel titles. Someday the mystery behind this may be solved, but for now all I can do is pick up his good books and avoid his lesser ones. Bedlam #1-6: 4.5 out of 5 stars. Secret Avengers #1-3: 2 out of 5 stars (the art saves it from a lower score).